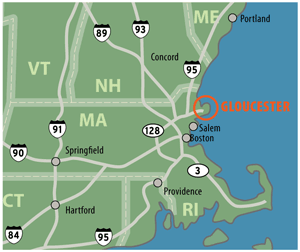 Gloucester is 32 miles north of Boston. 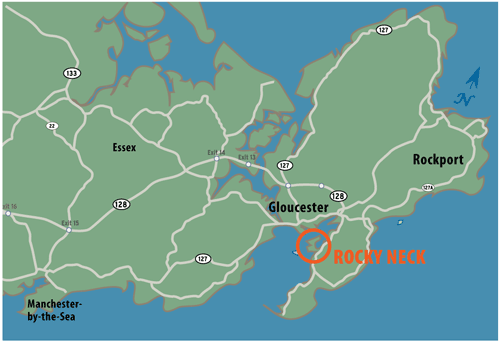 Follow Route 128 North to Gloucester until you come to a rotary. Go half way round the rotary and continue on the highway to another rotary. Go half way round the second rotary and continue on the highway straight through Gloucester's only two traffic lights. 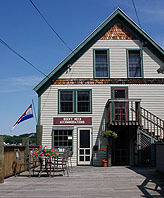 Follow signs for Rocky Neck onto East Main Street and proceed a little less than one mile. Rocky Neck Avenue is on the right. We're 400 yards down Rocky Neck Avenue on the right, #43.